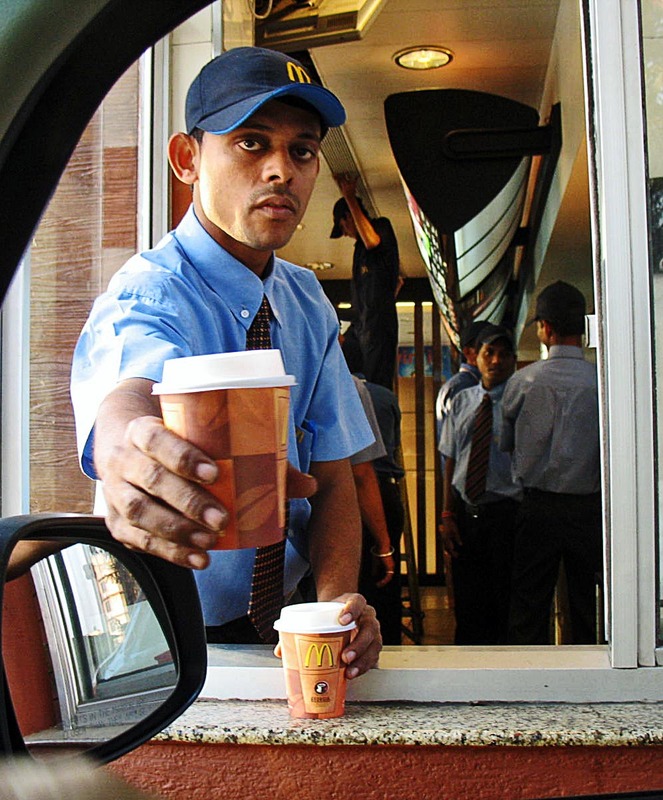 Here are some photographs of the Drive Thru at Macdonald's in India. This is a Macdonald's employee serving us coffee. In the background you can see the restaurant and some other employees waiting behind the counter. A MacDonald's server serving us coffee and sugar. 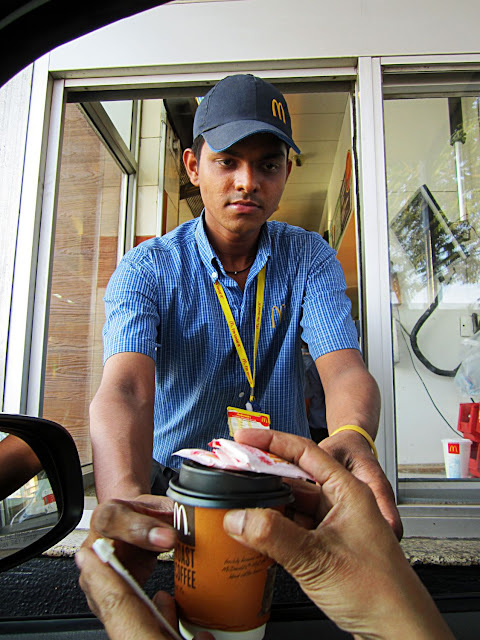 He is wearing the standard blue uniform and blue cap. 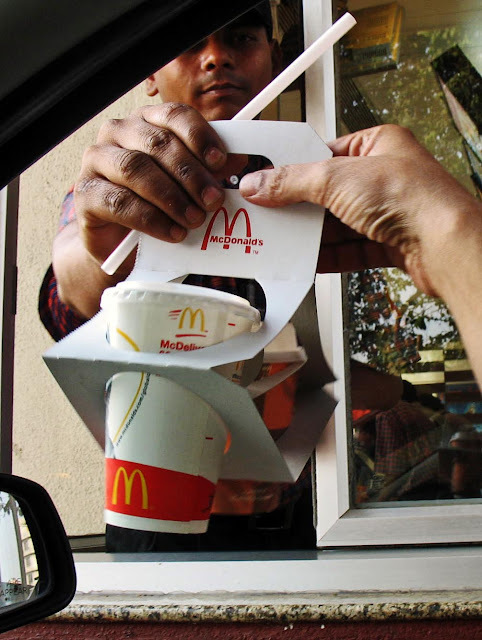 This is a Macdonald's employee handing us a coke through the drive-thru window.